The Coca-Cola London Eye, is the biggest observation wheel that is cantilevered, standing at one-hundred and thirty-five meters. Located in London, England, visitors to the city will get to see it from a new perspective if they choose to visit the London Eye. Built and launched in 2000, the Coca-Cola London Eye is the biggest observation wheel in the world. The addition of the London Eye to the city’s skyline has been offering visitors a new way to look at the city since its launch. The wheel was meant to be temporary when the original plans were drawn up. It was supposed to be able to be taken apart and transported easily to other locations. The permits and lease for its construction and space were only good for five years originally. The attraction has been so popular with tourists that the lease on the space was extended and it is now a permanent feature of London’s skyline and a gorgeous representation of present-day London. The London Eye offers visitors the opportunity to view London through a private capsule reservation for friends and family. Each package consists of priority boarding, the use of a private capsule for three to twenty-five people, a thirty-minute trip around the wheel, 4D cinema film, 360 degree mini-guide for each person, and Eye Lounge Admission. The London Eye offers capsule for every occasion. Friends and Family Capsule- Visitor can buy this capsule package to celebrate special occasions like anniversaries, birthdays, engagements, Mother’s Day and Father’s Day, or as the beginning of bachelor and bachelorette parties. Cupid’s Capsule- This capsule package combines romantic views with a bottle of champagne and box of truffles served by a personal host. It is the perfect place for Valentine’s Day, anniversaries, and proposals. Proposal Capsule- This package offers privacy for couples and photographer playing the part of host to capture the special moment complete with champagne and truffles. Wedding Capsule- The London Eye is the perfect venue for couple who want to have a unique wedding day celebration. Prestige, Classic, and Celebration packages are available and include different amenities. Blue Sky Thinking- This capsule package offers a way for professionals and team members to focus their minds on current challenges at work. The space works well for meetings, event groups, team building, syndicate rooms, focus groups, and think tanks. Dining at 135- The London Eye opens for up to eight guests after hours for buyers of this package. A Champagne reception begins the dining experience. A three-course decadent meal follows the reception catered by Rhubarb Food Design and includes wine from Layton’s wines. 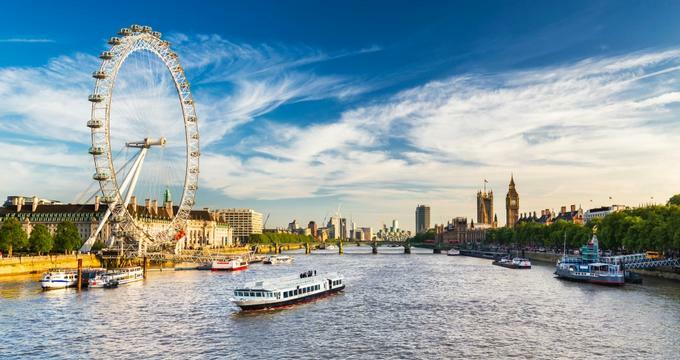 Private Boat Hire- The London Eye takes full advantage of its partnership with a charter fleet on the River Thames to offer its guests another fun experience. It offers a pier next to the attraction for embarking and disembarking on a cruise down the river. The London Eye offers several packages for schools to take advantage of the learning opportunities the attraction provides. The Experience: Standard Tickets- The thirty-minute rotation of the wheel offers students an opportunity to view several of London’s iconic landmarks like Buckingham Palace, M16, Somerset House, Westminster Abby, and the British Museum. Students will also have access to interactive guides to read about these landmarks. Discovery Workshops- These workshops offer students the opportunity to see the sights of London and include facts about the skyline of London, interactive activities, and a Discovery School Host. Schools River Cruise- This sight-seeing cruise showcases educational commentary from expert guides. Some of the sights included are the Tower Bridge, Shakespeare’s Globe, St. Paul’s Cathedral, and the Tower of London. The company, Merlin Events, that runs London Eye also runs several more of London’s leading attractions such as Madame Tussauds, Movies at Madam Tussauds, SEA LIFE London Aquarium, the London Dungeon, Shrek’s Adventure London, and Riverside Rooms. Because of this, the company can host special events at a variety of unique venues. Christmas Parties, corporate events, award dances and dinners, Bar/Bat Mitzvahs, small dinners, motivation group dinners, networking parties, and VIP Tours are just some of the special events the Merlin Events company can host. The Coca-Cola London Eye gift shop can be found at the attraction exit. It offers a variety of merchandise as souvenirs.